Have you ever thought that we generate too much trash? Ever wish you could recycle more things? Do you wish you could do more to help other people but don’t have enough money to go to everything you would like? Join us as we consider how we live and how we can care for the world that God made! Creation-care means caring for God’s creation. The Lord created an amazing planet and called it “good.” We want to care for the resources and be mindful of activities that are harmful to our environment. Participating in creation-care fills us with the abundant joy that comes from caring for God’s gifts. Now Centreville Presbyterian Church is pleased to announce our new Terracycle Program! We are collecting items that are normally thrown away. Let’s recycle! There is no need to clean the items first! And, Terracycle pays us for our waste! And the best part is money we receive for the recyclables will be donated to our Zambia mission partner, Every Orphan’s Hope, for the “Chicks 4 Orphans”! EOH raises chickens to help increase the sustainability of their ministry to AIDS orphans. A mere $4 buys a chick! Help us fill the chicken coop!! All you have to do is collect these items and then drop them off in the appropriate boxes located in the coat closet at CPC. Can’t make it to church, have a lot of items, or keep forgetting to bring it in? No problem! Just contact Erin Brandon (erinjbrandon@gmail.com) for a pick up time and location. New items to collect will be added periodically so check back at least monthly for the current items to recycle. Click Terracycle Handout – Updated 3-4-15 for a pdf overview! Drink Pouches (Aluminum and plastic drink pouches (no need to remove the straws) . Keep a large gallon size Ziploc bag for each type of item you are collecting (i.e. one for glue sticks, one for dental products, etc.) to eliminate sorting when dropping off for recycling. No need to clean the items you are collecting, just squeeze out or remove any remaining food or liquid before placing in your bag. Once you drop off the items keep the Ziploc bag to collect more items at home! 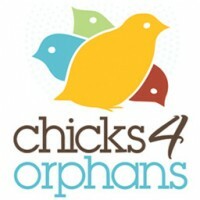 The more we recycle the more money we get to donate to “Chicks 4 Orphans”! Check out this video about drink pouch recycling. Here are more products that Terracycle creates with our waste….